UPGRADE TO ECU V6.1 PRO! 5 March 2017: 25th Anniversary Special - new licenses are HALF PRICE! 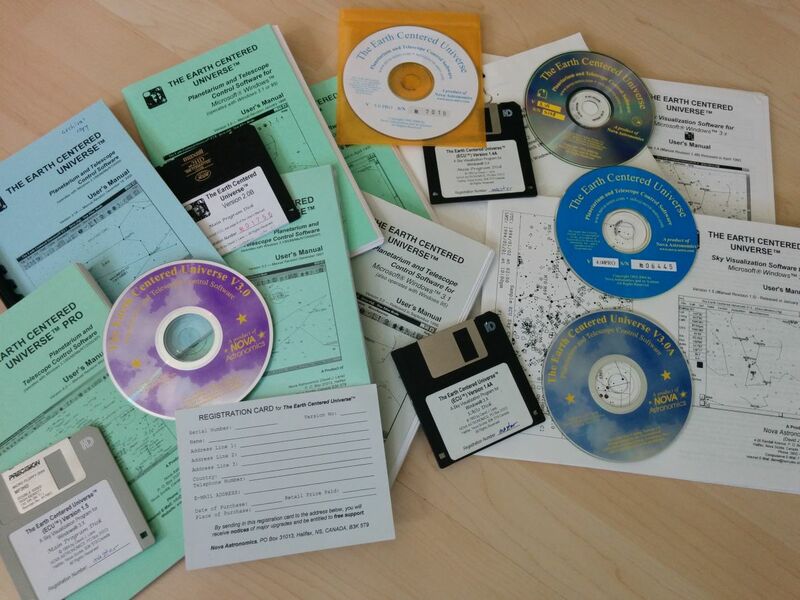 4 March 2017: 25 years ago I released (as shareware) the first version of my Earth Centered Universe Planetarium/Telescope Control software. At the time, it was the first such program in the world available for the (new) Microsoft Windows 3.0 operating system. While the customer base now is small, it is still being developed when I can spare the time (a major new version came out this time last year). It all began about 6 months earlier when I was challenged by my "mac" astronomy friends to write something as good as the Voyager software, so I did! Before long, money starting arriving in the mail and I had to startup a business "quick" - and its been going every since! April 2016: ECU V6.1 has been released. There are lots of improvements. See the upgrade page for details. Nova Astronomics has always offered aggressive discounts to educational institutions.